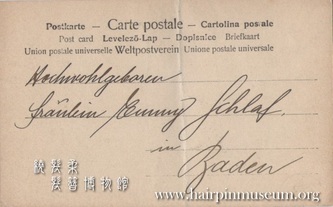 These two postcards were a special gift form a friend of the Hairpin Museum in Germany. The card on the left is a hand coloured printed postcard showing a young girl holding a Chinese flute. 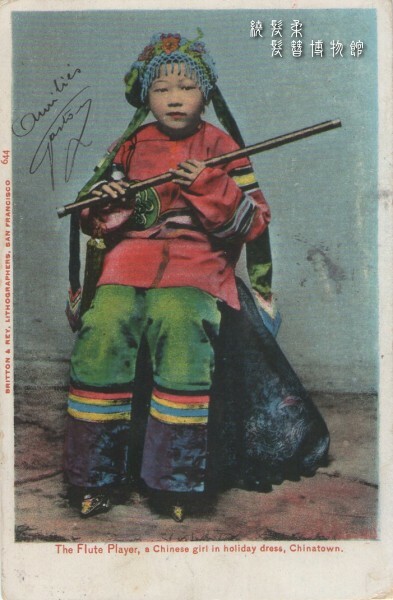 Despite living on the west coast of America this little girl has bound feet. 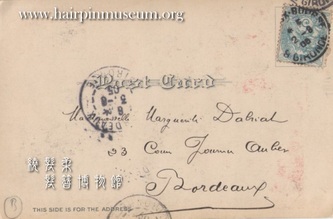 The card is addressed to somebody living in Bordeaux, France. 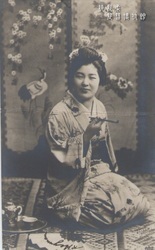 The card on the right shows a Japanese lady holding an opium pipe. The postcard is addressed to somebody in Baden in Germany. 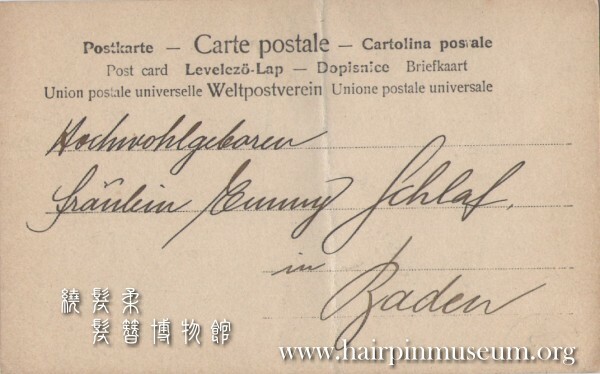 These hairpins are from Copenhagen in Denmark. These hairpins are handcrafted from wire and hammered sheet. 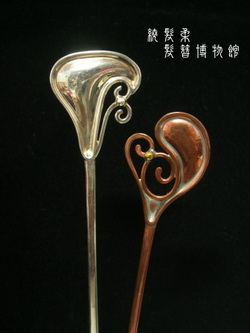 On the copper hairpin on the right it is possible to see the white silver solder. There is also a small yellow bead of gilded copper. 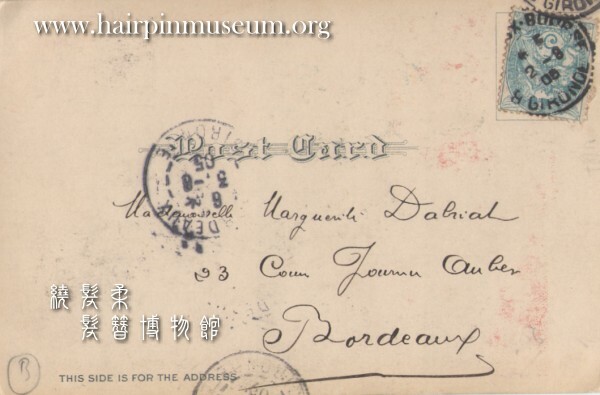 The person who donated these objects travels widely and has been an admirer of the Hairpin Museum for several years.